More and more RVs come equipped with slide outs. A slide out, sometimes referred to as a slide room, significantly increases the amount of living space in an RV. Many RVs now come with multiple slide outs which can turn an RV into something akin to a mansion on wheels. 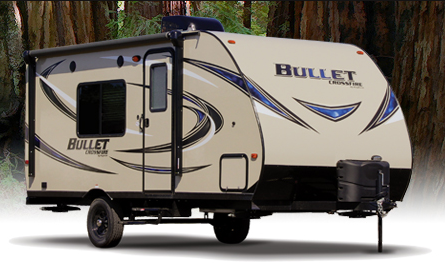 Not satisfied with ”just” an RV anymore, the demand for increased real estate from RV shoppers has driven the slide-out explosion in the RV industry. Bigger isn’t always better – that’s especially true when it comes to RVing. Sure, big RVs offer lots of amenities (including residential-sized appliances) and a lots of elbow room, but small RVs offer more than just charm. They’re lighter and easier to tow than their king-sized counterparts – not to mention easier to maneuver into the campsite. Plus, their diminutive size allows them to be taken on the roads less traveled; you won’t be limited to large RV lots with a small RV, so you can enjoy and explore the wildernessto your heart’s content – if that’s your camping style. How Much Does a Small RV Cost? No doubt about it. RV camping is a big adventure. But you don’t need a big RV to have big-RV fun. A small RV can maximize your camping enjoyment while minimizing your costs. There are many kinds of small RVs on the market, and one is sure to fit your camping needs. 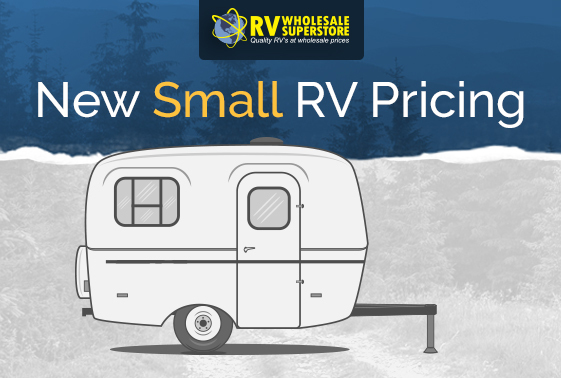 Want to learn more facts about small RVs? Check out 10 Fast Facts for Small RVs.